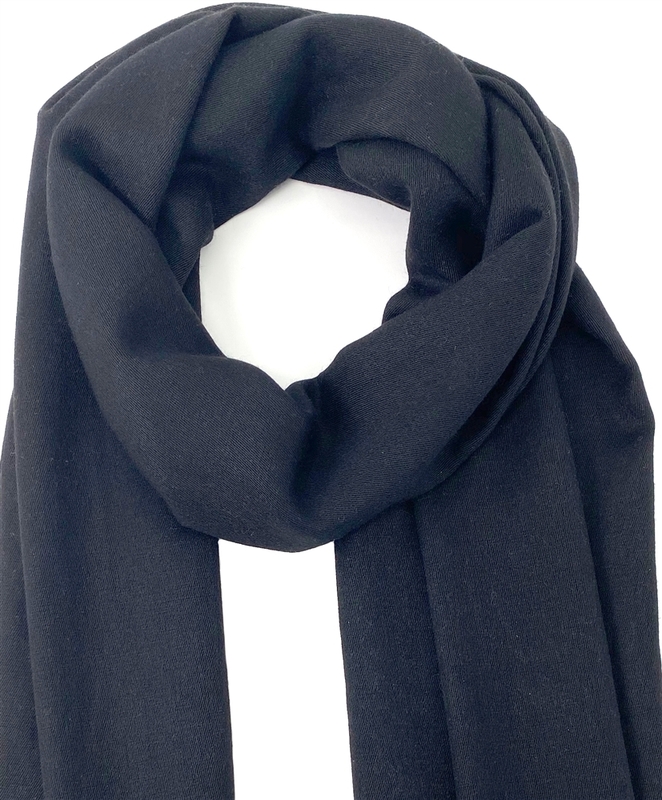 There is nothing as smooth as silk, and The Pashmina Store is proud to bring you the finest quality Black pashmina shawls made with 70% top-quality pashmina wool and 30% luxurious silk. 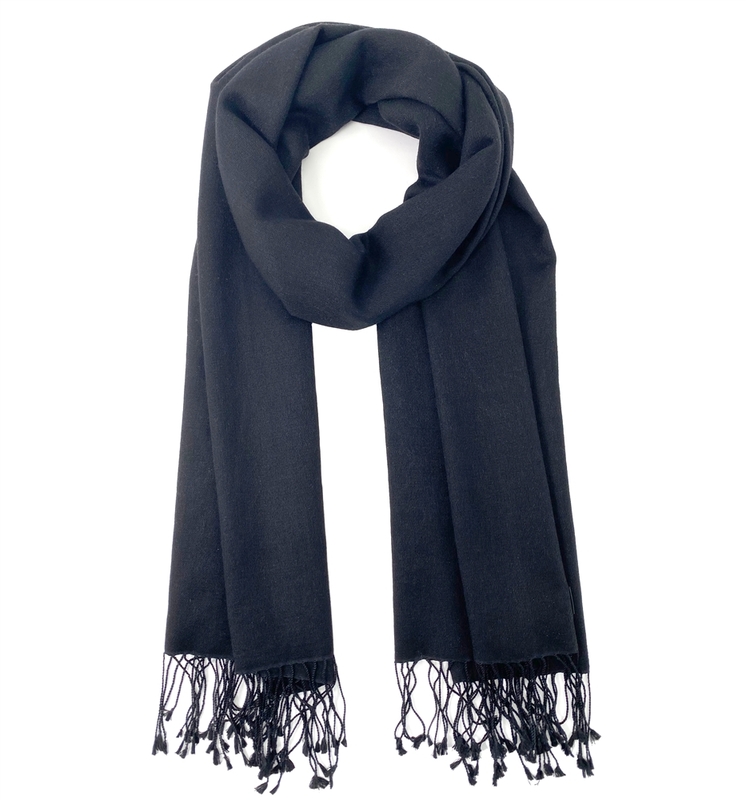 The touch of silk gives the pashmina an exceptional feel and an wonderful sheen. 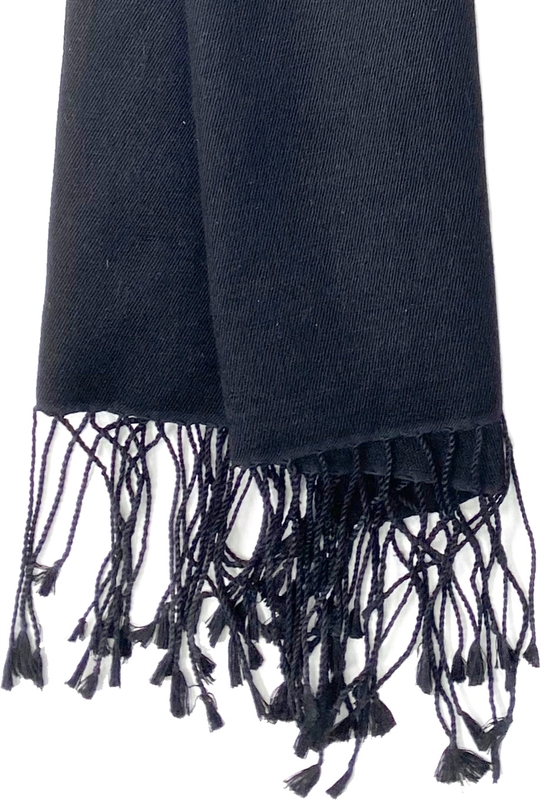 This beautiful black shawl is 36" x 80", plus 3" tassels on both ends. It is traditionally crafted by hand to give you a fabulous fashionable accessory. Average Customer Review: 5 of 5 Total Reviews: 10 Click here to write a review. I recently caught the pashmina bug and am so happy to have found The Pashmina Store. I love these! This one is a bit larger than the 3 ply wrap I purchased so I enjoy using it for travel as a blanket and a go to item when in cool places. Hello, I wanted to let you know that I adore my shawl. It is a good quality and the price is much better than here. You got it to me quickly. I am very happy with everything. Thank you. I want to thank you for your excellent service and product. 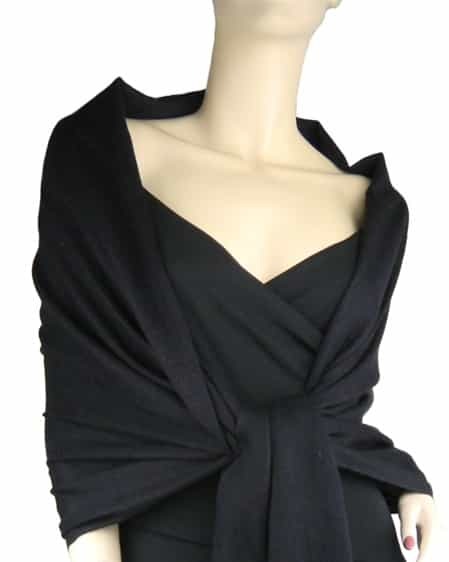 I keep giving these black shawls as gifts and they always come in a timely manner and are excellent quality. I love it! I am giving it for a gift and I am certain it will be a welcome one.